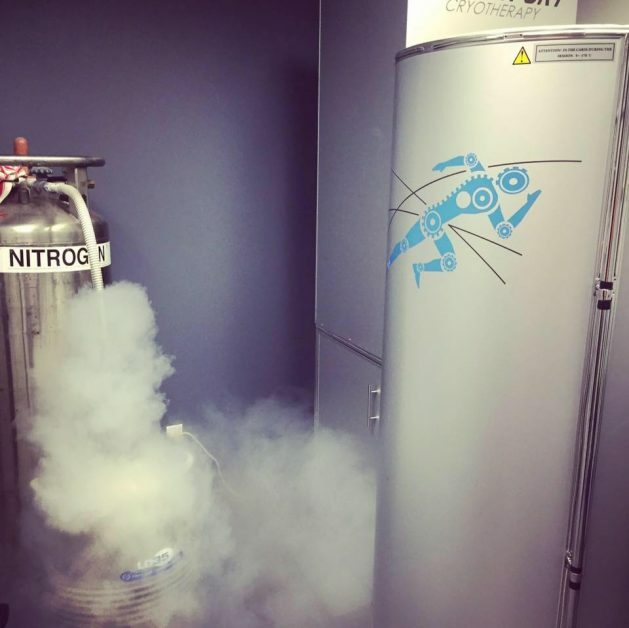 High cryotherapy costs used to limit the procedure to a recovery tool used only by high-profile athletes, but its popularity in sports has helped bring the technology and process to the forefront of medicine and the public. But why has the process caught on so well? What are the benefits and the cost of cryotherapy? Let’s take a philosophical approach to answer that question. If your body is your livelihood, then the better and longer it performs, the better the return. For an athlete, time spent recovering from injury is less time spent training to improve performance and that means time away from game day. Compared to ice packs, cryotherapy has better and more even cold delivery, allowing cryotherapy to more effectively draw heat from the body. If time spent away from activity is costly, no wonder professional athletes prefer the solution that will act the fastest and leave raving reviews. Speaking of cold delivery, nothing seemingly delivers cold to the body better than an ice bath, right? After all, if you’ve ever eased down into a cold tub, the pang of skin contact with ice cold water is an unpleasant sensation that offers immediate feedback that something is happening. It turns out though that cryotherapy treatment offers similar if not better results in less time and with less discomfort. Our whole body cryotherapy chamber treatments are generally comparatively painless and quick. Cryotherapy is an extremely safe and harmless practice employed all over the nation by health professionals. Cryotherapy has been known to leave a temporary numbness or tingling in some patients, but compared to alternatives, the benefits certainly outweigh the cost of cryotherapy. Looking for whole body cryotherapy locations near Denver? Check out what services and pricing are available at our 5280 Cryo & Recovery Clinic and book an appointment today!